Want to remain close to the heart of your dear one? Then gift her pearl pendant necklace. A sure shot way to be close to their hearts. A warm radiance of pearls will make her glow with happiness. These balls of organic composition will make her look younger, romantically intriguing and spread an aura of serenity around her. 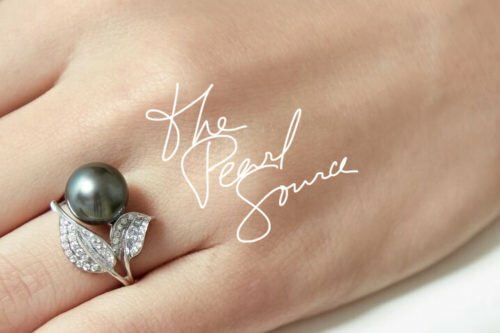 Pearls come in various shapes, sizes and colors making them extremely versatile and a popular choice with consumers. Pendants are one of the ornaments designed from these gem stones. Popular designs include heart, half moon sterling silver pendant & others. These designs are very popular because of its simple elegance. Black pearl pendants are known for their metallic look. Set is silver or white gold these dark beauties look stunning on people with fair skin. It gives the wearer a touch of class and a rash adventurous exuberance. Found off the waters of Tahiti and also along the French Polynesian islands, Black Tahitian Pearl Pendants are a rave at parties and high profile social gatherings. Another design which is popular with all age groups is the pink freshwater pearl pendant in flower configuration with intricate twisting branches. Set in 18 carat gold they form a complex piece of jewelry specially worn on weddings, anniversaries and birthdays. Pink is the color of love and celebration. Gift one today and keep the flame of romance alive in your life. Its rich natural yellow hues and the largeness (8mm to over 18mm) makes golden south sea pearls a perfect choice for pendants. As they have been cultivated in the waters of Indonesia and Philippines, these pearls are known for its rarity and golden overtones. The mutable colors and mesmerizing dark overtones makes them the number one preferred choice. Although Tahitian pearls are synonymous with black color they carry a wide range of dark overtones such as peacock green, grey and blue giving them a metallic look unique to its class. Tahitian pearl pendants therefore appear trendy at the same time classic.